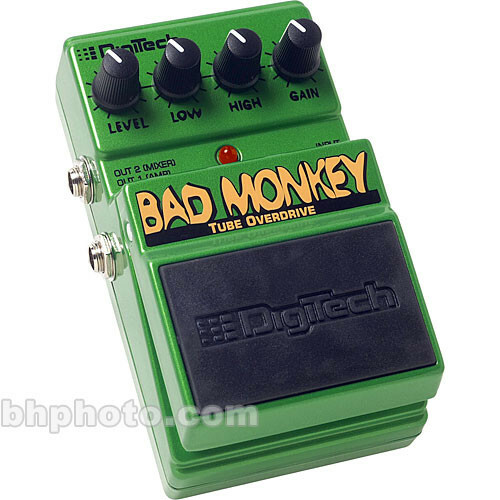 The Bad Monkey tube overdrive foot-pedal from DigiTech produces the smooth natural character of an overdriven tube amplifier, while maintaining the guitar's distinct tone. Low and High tone controls provide the flexibility to boost or cut the bass and treble frequencies for just the right sound. Dimensions (WxDxH) 3 1/8" x 4 15/16" x 2 1/8"
Box Dimensions (LxWxH) 6.0 x 3.5 x 2.5"